The Midmark IQholter® system combines a compact digital recorder with three powerful software applications. Our three tiers of Holter solutions are specifically designed to meet different practice needs, from family physicians to cardiologists. 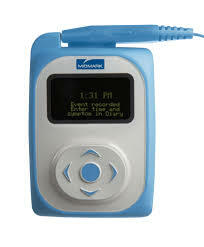 Midmark has several versions of Holter Monitoring analysis software to accomodate different practicing environments. Each software version has a range of automated reporting & analysis capabilities designed to suit the needs of different specialties. Includes the standard features of IQholter® with expanded functionality for A-Fib, QT/QTc and HRV analysis, template editing, Smart Page Scan and more. Includes all the features of IQholter® EX plus Pacemaker detection of single and dual-chamber paced beats for non-captures and sensing failures.